1- How did you build your crowd for your CrowdFunding campaign? 2- How did you spread the word and get traction? 3- How did you build and maintain audience engagement before, during, and after the CrowdFunding campaign? 4-How did you transition your Crowd and followers to Investors/ backers? 1- NO PURCHASE OR PAYMENT OF ANY KIND IS NECESSARY TO ENTER OR WIN THIS CONTEST. 2- A PURCHASE OF PROMOTEMYCROWDFUNDING SERVICES WILL NOT INCREASE YOUR CHANCES OF WINNING. 3- ENTRY IS OPEN ONLY TO LEGAL RESIDENTS OF THE FIFTY (50) UNITED STATES, DISTRICT OF COLUMBIA OR CANADA WHO ARE TWENTY-TWO (22) YEARS OF AGE OR OLDER AND EMPLOYED IN A POSITION WHERE THE ENTRANT TOOK PART IN THE PLANNING OF A SUCCESSFUL CROWDFUNDING CAMPAIGN. 4-THIS CONTEST IS IN NO WAY SPONSORED, ENDORSED, OR ADMINISTERED BY, OR ASSOCIATED WITH FACEBOOK, TWITTER OR GOOGLE PLUS. 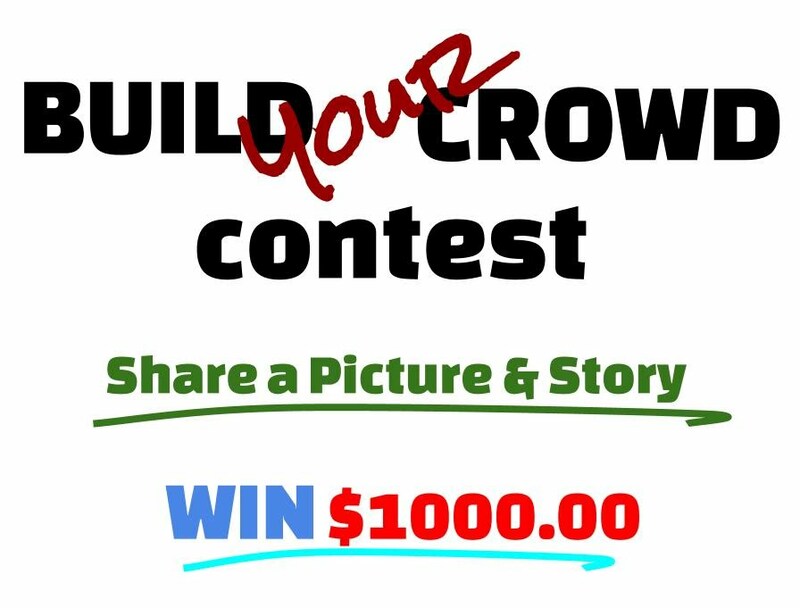 5- CONTEST PERIOD: The PROMOTEMYCROWDFUNDING Build Your Crowd Contest (the “Contest”) starts on: February 1st, 2014 at 12:00:00 PM Pacific time (PST) and ends on MAY 28, 2014 at 11:59:59 Pacific time (the "Contest Period").